The past few weeks, I have been unable to write anything as I have been busy dealing with client's needs: prepping single releases, finishing contracts and general conversation. During this time, I was trying to figure out what to write about next and couldn’t figure it out. 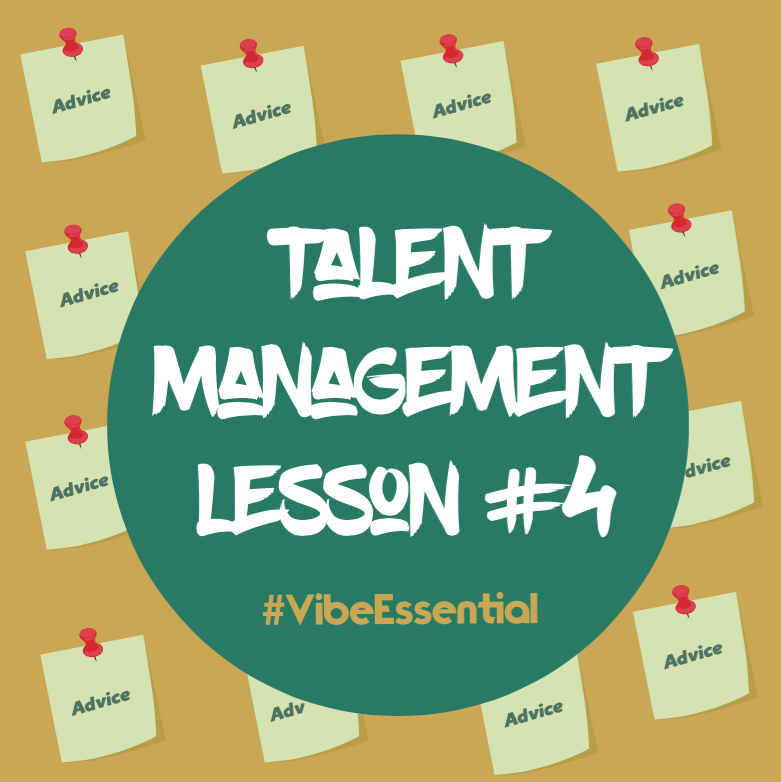 But then it struck me during a conversation I had with an indie record label owner, that there are common things that every manager, artist, producer, etc. will face in music. Here are a couple of those things and my advice for them. Losing focus happens. Whether it's an artist losing sight or a manager having personal problems (or vice versa) it happens. My best advice is to make deadlines and have weekly conversations if not meetings so that you and your client can keep your eye on the prize and can keep yourselves focused through distractions. Life will always happen and at times it can stall or derail a career. But only if you let it. I was speaking with a publicist recently and she asked a very interesting question regarding being in entertainment. She asked me if books regarding the music business a big help with learning were how the industry works. I always felt that books are informational but experience is a real teacher. I have maybe 10 books regarding the music industry, but I really learn what I was doing after having to apply what I learn and deal with industry issues. Best way to learn is not to read too much but go out and just do. Brandon Countee (@brandoncountee) is the founder and Chief Design Director of Majestic Raven (MR). He specializes in branding and marketing, along with artist management and artist development. One of the most important things in a varied industry like entertainment is the need for managers to create and execute goals. Goals are so important because your clients’ careers are in your hands— not being able to managing things like this can lead to failure. Now one thing that is important to mention is before you set goals for your artist, make sure that both of you have a trust of each other. Having an artist that questions your leadership is another discussion. So lets get started. Define the goals as detailed as you can for your client. Have you noticed that when people say they want to lose weight, they can usually give a weight that they are shooting for? No one just says I want to lose weight and don’t have a number or some measurement to attain. Same thing with what we want to do. When an artist wants to work together on something but states that their goals are “success” or “hit record,” I respectfully decline. Those responses are vague and vague is a red flag. Your goals need to be either numerical or clearly defined. What sounds more likely: “I want a hit record” or “I want 3000 streams of my record in 3 months of releasing it”? Your goal as a manager is to define what their goals are. Coaches tell players the goal is the championship and you have to set that goal for your artist. Make your goals realistic. Continuing from the first tip make sure your goals are something that can be achieved. Too many times, I speak with inspiring entertainers who want success and may have goals. But sometimes their goals are so high(unrealistic) that failure is basically guaranteed. Not because aiming high is bad, but aiming for something that has a low level of achievement is bad. I consulted with a emerging musician about 4 years ago who wanted to release a mixtape and wanted 50,000 downloads by the end of the month. Very ambitious and detailed, but it was unrealistic. I told him that our goal should be 2k by the end of the month with 300 with in the first 2 weeks with a marketing strategy to help it go viral.Be ambitious but be realistic with your artist and the goals. Never stop focusing on the goals The last one is maybe the most important because I can speak from my failures with this. Many times we start seeing things going in the right direction. Our artist single is getting more streams, our client is getting more shows, or we start seeing a little coin (old school way of saying money), we start thinking differently. No!!! Unless something happens that should change the goals, don’t let the little success change the long term goals. You have to stay focus and keep your clients focus. You ever see that artist that is growing more and more then all of sudden the little success caused them to go sideways and they are back to square one. In closing, you have to remember you don’t have to be the most connected manager, the most knowledgeable or the best. But you have to insure that all actions are geared toward the goals being met. That’s your job. Brandon Countee is the founder and Chief Design Director of Majestic Raven (MR). He specializes in branding and marketing, along with artist management and artist development. The entertainment industry is one where you are constantly hearing from people how dangerous the industry is when it comes to losing your money and getting the short end of the stick. The stories are abundant and if you simply do a Google search you will find page after page of stories— so I won’t give you a long drawn out introduction to it. I will share my top advice on how not to get screwed in the entertainment industry. Half of the horror stories that I have been told from talent managers or entertainers regarding getting screwed all started with the contract (legally enforceable agreement). I can’t stress how important the contract is because it does 3 things: States what is the responsibilities of the parties. What happens when someone breaks the contract. What is being agreed upon (financial spit, termination of contract, etc). Those 3 things are essentially important when it comes to doing business in the industry. I bet when you do a search for managers or artists who got screwed at least 1 of those 3 things are mentioned as the cause. I learned the hard way about 10 years ago when I was trying to develop an artist. We didn’t have a written agreement, but we had shook hands and worked constantly. After about 3 months, I realized that it seemed that the development deal became very much a personal support deal. I was paying for things that had nothing to do with the client as a entertainer, but was for their rent and cell phone bill. Worse yet the client missed several meetings and wasted hours in the studio by being late. I know what you are saying, "Why not just walk away? Well for one I had invested money and wanted to at least get paid what I had put in. To add I didn’t have anything on paper that stated that the money I had invested was reimbursable. The best advice that I ever received was from a boxing promoter when I first got into boxing. It applies to everything in music and it’s never “fall in love with your client”. They may be friends, damn near family, but never fall in love with a client. Like any relationship when you fall in love, emotions override logic and decision making. A client may be good to you and you to them, but realize that your relationship is manager and client. Think about when you see a record label drop an artist after 10 years of musical bliss (and millions together) and one year of a failed project. Labels know that as much as they may like you, at the end of the day your relationship is built on business. Treat your clients the same. Like every sunrise there comes a sunset and with every beginning there comes an ending. Some business relationships ,while maybe great at first or beneficial, turn into a headache and leaves irreparable damage. Sometimes you change desire and motivation and sometimes the client no longer agrees with your vision of them. Sometimes you just get tired of each other. A consultation that turned into a management deal a few years I think is a good example. The first 6 months we were flowing and getting some things done with their music. But the following 6 months after that we hated each other. Why? He wanted to go a way that I knew was going to end disastrous and I honestly ran out of ideas of what to do next. I can admit it now that I should have ended the deal when I ran out of ideas because we both just forced ourselves to continue to work together miserably. Know when to see that it’s time to sever ties and walk away. If you have to force yourself to stay with the client, then you have decisions to make. Sometimes we look at music as the genre and we don’t consciously associate music with the entertainment business. At times, we see music as this isolated continent that has unique and mysterious vegetation and wildlife that exist. Surprisingly, there are many inspiring artists who say they know and love music, but put very little thought into the business part of music. While I will admit that the music industry has pitfalls and mountains that you can't find anywhere else, the industry functions like any other industry. No successful business intends to spend money with the intent of never making more in return. You spend $1 on your widget, you sell it for $2. That’s called profit and every industry, including the music industry lives off this. Every record label, publishing company, radio station, etc. exist to make a profit. Always remember that. If you can't make money than what is the point of having you? Talent is important, but talent that doesn't equal money is pretty much worthless. I have worked with people who believe in the power of mixtapes, but don't realize that they are made to generate income, but a free marketing tool. If you are not in the entertainment industry for financial gain, then why are you in it? Artists who want to treat it as a hobby, you simply do not need a manager. What are the valuable assets of British Petroleum, Exxon, and Phillip Morris? Give it 10 seconds. Ok if you said oil and cigarettes, you’ve answered wrong. While oil is important for BP and Exxon, their assets is the drilling rights on oil rich lands or property that they own with an ocean of black gold underneath it. With Phillip Morris, it's not the cigarettes, but the tobacco fields where the tobacco can grow successfully. With music it’s the artists that are valuable. You are the patch of land and your music is the oil that is waiting to be harnessed. Ten years ago, I worked with a client that made the ultimate mistake. We were in minor talks with a major label that took notice after a very successful marketing campaign for his latest project. He (without consulting me) agreed to a publishing and production deal for little of nothing and no guarantee of a record release for $3,000. The issue wasn’t the money or the deal (which sucked), but that he didn't value himself and negotiate for what he was worth. Deals was signed and I dropped him soon afterwards as a result. If you sell yourself short today, you sold yourself short for the year. You have to always look at the long term and if the short term fits it. I had to learn that. What is especially important about what I'm saying is that reading a book about the music industry and not knowing how the music business works is the worst thing that an inspiring talent manager can do. If you want to know what is valuable in the music business, first understand business. If you have read anything that I have written before, then you know that I see musicians as entertainers, not just as artists. Entertainers have to always make sure that their image and the perception that display is just as important as their material. Too many times artists feel that if their music is good enough, it will cover up their short comings or confusion with their brand. That just isn't true and if you don’t put as much time in your brand as you do your music, then you will find yourself and your career in a perpetual limbo. With that said, I wanted to share 3 good tips for building your brand in entertainment. Branding has been defined so much and thanks to Google, you can easily find a definition for it, so I want define it here. What I will say is that branding is a central component for success. Why is branding so unique in entertainment? There are two reasons why people buy something: it serves a function(coat,shoes,food) or it feeds a perception/symbolic need(Brand name clothing like Gucci,Versace, etc). Now if you can choose something that fits your needs(coat) and can fit our perception need(Highly rated brand like Gucci). Entertainment falls in the function category, but it has to be symbolic as well. If you are old enough you remember in the 90's and early 2000s when rap was becoming more commercial, many artists had to have "street cred" in order for their brand of music to be accepted. The music (what is actually being consumed) was not as important as the perception of the artist(the brand). Think about that! You want a 2014 BMW 740I Black on Black with less than 2000 miles. You find a car that fits your criteria and are ready to buy. Are you going to say no because the dealer lied about actually owning one? 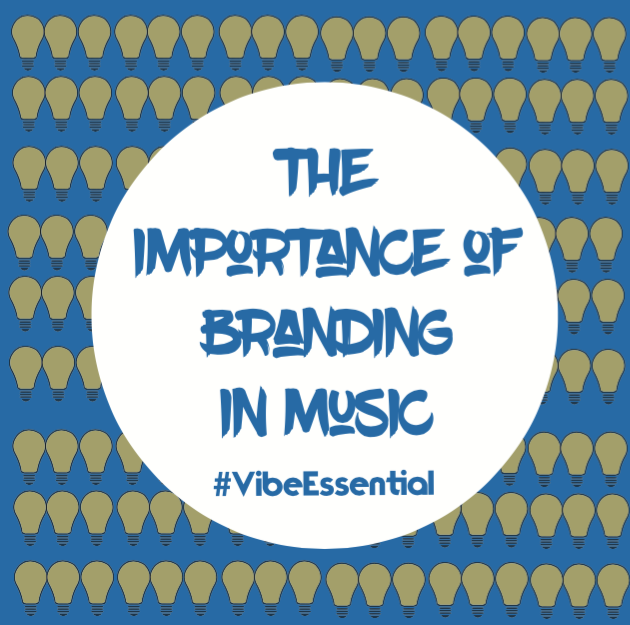 Your music should fit your brand and vice versa. Your brand has to be something that is both internal and external. "I'ma tell you what Banks told me:/ Cuz, go 'head switch the style up/ If N****s hate then let them hate and watch the money pile up" (50 Cent, “In Da Club”). Don’t feel that your brand has to be set in stone once you figure out what it will be. Most successful entertainers and companies only have continued success because of their ability to change their brand and self-awareness of it. Many of your favorite artists have songs or even albums that they released before they found success. Many also insured that their brand fits with the changes in their genre as well. Below you have music mogul Jay Z’s four album covers. Look at each one and find what is always consistent, but what is different about each one. I have probably upset many inspiring artists that have asked for my help by being honest on my evaluations of their music and image. There was a musician *Danny Dan(not his real name) that was an inspiring R&B singer. We met at a local show and he asked for me to help him with his PR and co- management. Now I'm not a producer and don’t care to be one, but his music was not well produced and lacked any real commercial value. He didn’t have much musical ability with his voice and it was apparent. When I brought this to his attention and suggested ideas for improvement, his manager (brother) and he accused me of being a hater and not knowing music. Dan continued to try to make it in music and last time I saw him he was working at H-E-B still trying to get over the hump. Now if you really read what I said in the previous paragraph about Dan, I never said that he didn’t have potential or was a horrible musician. I simply stated where I saw weaknesses and needed areas of improvements. Dan not being self-aware and honest when it came to his music, hurt his own brand even though it wasn’t his intention. He didn’t take into consideration that his brand is going to be defined not by him, but by consumers. He never asked "How do listeners perceive or think of my music?". He felt like his brand was strong and all he was missing was the big chance to showcase himself. You have to be aware of where your brand lands in the minds of consumers. In conclusion, branding is a lot of work and it’s ok if you don’t get it right the first time. Most of what I gave you is more of what not to do than a detailed blueprint. As the world of social media has extensively evolved, throughout the years, it has become the top, fastest-growing digital market for networking and brand development. In 2017, brands, of all kinds, are utilizing this platform as a way to reach a broader audience—thus, improving their traffic flow, tremendously. Sometimes, by hundreds or even thousands. The more traffic, the more awareness, and the more awareness, the bigger the consumer rate and online visibility are. For music artists, social media is an essential key in strategic marketing, as it is the vessel that, particularly, drives and expands their fanbase. As the music industry remains ever-changing, in this day and age, everything is mostly done digitally. Why? Because, frankly, people are more quickly to open an app to seek the latest industry news than to turn the pages of a newspaper, magazine, or watch CNN. Which brings me to my next point: society wants to know what's hot and what's happening NOW, instantly. When MySpace hit the scene, fourteen years ago, it was the holy grail for Hip-Hop artists, especially. Though, at the time, BET's 106 & Park was popular for delivering the latest songs and video releases, after those videos had run its course on the countdown, they were zapped off, falling behind the next hottest thing. This is where MySpace aided in keeping the buzz alive and ongoing. These artists were able to effectively promote their music, all while growing their listener base and widely gaining notoriety. While, on the other hand, fans and supporters received the music at a faster pace and had a direct line of communication with their favorite artists to provide feedback. So, it was equally beneficial for the giver and the receiver. However, MySpace has since been overshadowed by Twitter, Instagram, and Facebook... all collectively serving as pivotal social media marketing assets. Whereas Facebook is mainly useful for connecting with long-lost family members and seeing the trending worldly news, Twitter and Instagram are great resources for branding purposes. Granted, Facebook can accommodate when it comes to promotion ads or sharing. But, usage of Twitter and Instagram is more likely to help your brand attract a better worldwide following. Within the entertainment and pop culture realm, these two tools are perfect for achieving online social awareness. So, for a Hip-Hop-based brand, any form of social media is crucial to have, as they all contribute in many different areas and for many different reasons. Social presence is everything, and we are here to provide you with ways that you could utilize social media to your advantage. Take a look. This is extremely important for Instagram. Providing visual content is necessary, and you have to make sure that the content posted is content that makes sense to the basis of your brand and the audience that you want to attract. - Don't bore your followers with repetitive posts. Be diverse. - Make sure all images are crisp and clear. - Show up in your feed. The people want to know the person behind the brand, behind the music. - Post daily. Stay visible. - Use hashtags, always. Check to see which hashtags, surrounding the theme of your brand, are most popular. - Include website link in your bio. - Keep a precise logo to post every once in awhile, whether it be of your name or something related to your brand. ● Live Q&As – This helps in engaging those ghost followers who only drop a like or comment twice a year. We all have them (pun intended). ● Posting video snippets of your recently released music. ● Hosting online giveaways, giving away free brand-exclusive merchandise. ● Resharing content that is alike to your brand onto your profile. This could potentially open doors for new followers and account engagement. ● Promoting your posts with Instagram's Branded Content program. You can learn more about that here. If you want to start the conversation, Twitter is where it's at. The amount of social shares waiting is endless. However, it all depends on what is posted. Again, the type of content matters, and your main goal is to make your content appealing. How many times have you viewed a tweet, liked the content of the tweet, and clicked on the person's profile? Maybe even followed? You see, it's a chain reaction. As #BlackTwitter continues to flourish, completely taking over the Twitter world, content is easily shared, and the conversation is waiting to happen. - Retweet/Quote tweets. Join the conversation. - Link your Twitter and Instagram together, so that every time you post to Instagram, it is found in your Twitter feed. This doubles the traffic on two social sites. - Participate in different hashtags. - #MusicMonday – Attach a link to where your music can be heard (Soundcloud, Datpiff, ReverbNation, Spotify, etc.) This is a great hashtag to take part in, as it allows your music to be easily searchable with just a hashtag alone. - Pin a tweet with a link to your website to your profile. Every time you get a new profile visitor, that will be the first thing that they see. If you don't have a website, I'd suggest that you create one. Your website is your online portfolio, and it needs to be easily accessible at all times. What I personally love about Facebook is that it offers so many avenues for friend/follower engagement, visibility, and discussion. The foundation of branding is engaging. Who's behind the brand? What is this brand really about? How can I relate to this brand? What can I gain from following this brand? These are all unwavering questions that need answers, and your job is to provide those answers by getting to know your audience and letting them get to know you, as well. - Create a LIKE page. - Be descriptive in your bio. Include your other social media handles, website link. - Keep photo albums updated. - Don't flood your feed with promotion links. ● Start your own Facebook group for your fans/supporters. This is where they would receive updates, and it can also serve as your Facebook promo team for future social media campaigns. ● Have weekly Facebook live sessions. Pick one day a week. Stick to it. ● Facebook is also the place to host merchandise giveaways. ● Always keep your event section updated with your upcoming events. Honestly, I don't think YouTube will ever get played out. It's literally the best video sharing space ever. And, I'm being serious. Now, just as Facebook, Twitter (I don't really prefer Periscope; the connection is quite slow), and Instagram, it also holds the live feature, allowing users to chat live with their viewers. Aside from that, it has become the ultimate playground for digital content creators, and it is the go-to web platform for debuting music videos. You can do all of that for FREE! (You knew that, but it's just a reminder.) Which is another plus because there is nothing like free promotion. Views, likes, comments, and new subscribers can be easily obtained. Word of mouth travels rather quickly on the internet, and we all know that it doesn't take much to go viral, nowadays. ● Vlogging. This can be done to capture your behind the scenes moments, never-before-seen footage, and music performances. ● Video Ads – This allows your ads to pop up right before YouTube videos. Learn more about that here. ● Make sure that you fill your YouTube profile out in its entirety. Website, social media links, bio, header. Appearance is everything. ● Video activity should be frequent. At least two – three times a month. No one wants to subscribe to a blank YouTube page. The key to every thriving brand is strong PR = Public Relations. Though I've just briefly gone over the basics for utilizing each of these social media sites for your benefit, to conclude, I wanted to give sort of an in-depth outlook on the importance of advertising and running social media campaigns. Advertisements on social media are the commercial for your online presence. It's a must to have. ● Invest into paid posts. Mostly all of the social media sites that I just named, besides Snapchat, offers this. This boosts your posts up and strengthens the audience reach--how many people will see the posts, shares, likes, and impressions. Facebook, Twitter, and Instagram even help you keep track of your performance. Visit their help centers to find more information. Social media campaigns can be run on multiple platforms, all at once. It not only steadily increases the growth of your profiles but, also, it heightens brand familiarity. ● Come up with an effective plan and goal for your campaign. ● Map out your posts. ● Communicate with other social media accounts. Follow for a follow. ● Automated DMs are great for expanding your reach and easily conveying your messages without you having to manually lift a finger every time. These DMs could include a link to your music (follow-up for feedback), website, and/or other social media. Try crowdfireapp.com for starters. There’s a lot more work that comes with making a hit single. Nothing happens overnight, despite what social media may show you. Independent artists will have to work twice as hard to get their single in the right hands. So you might ask yourself, what’s next after recording the single and posting the artwork or music snippet on Instagram and Twitter? How do you make the sure the single doesn’t just fly under the radar and just becomes a dud? I have 5 tips that you need to make sure you have covered before releasing that hit. Disclaimer: We are going to assume that the production, artistic direction and all of the things needed to make a commercially viable single has been done. So we will just cover the promotional parts. Have it easily accessible and easily sharable Your new single should be something that any potential fan can find and share with their friends at the click of a button. Major streaming services like Spotify and Apple Music are a must. Remember, going viral is the key to a song becoming a hit. If it requires me to search for it in largely unknown music sites, then more than likely I won't put effort into finding it. Worse yet, I won't feel comfortable sharing it on my social media pages either. Create a marketing strategy Don’t just push a single and constantly post links to the song on your social pages, hoping that the 50th time you post it will all of a sudden make me press play. You need to have a strategy that about allows you to know if what you are doing is working. Who your song is for? Meaning: What demographic will find it popular? How are you going to get the music to them? What channels are you going to use? What goals do you have for the song? Is it 5,000 streams, 100 downloads or 10,000 video views? When are you going to release it and why? This is big because many times artists release a song randomly and haven't done research on what might be coming up that could affect the success of their song. Several years ago, I scheduled a song to be released the week after the death of Whitney Houston. Of course, it got no media coverage and flopped initially due to what was going on in the music community. These are just a few of the questions to ask yourself and your team when strategizing the release and promotion of your single. I have seen a lot of good songs fail because the artist never planned out a strategy, but only hoped that the single would be successful. Publicity. Music bloggers and internet is a great way to get coverage for your new single. More people who break in your new music and have an influence the better. A music influencer is a big key to your song being a hit because they have way more reach than you. Get those headlines. Take notes and amend strategy if needed, If you have or have not done a marketing strategy, you will need to take notes to see what is changing. Did your Facebook post or blogger's article lead to more streams or website traffic? Are you noticing less response to post about the single or more plays when you performed it at the recent open mic night? If so what did you learn and what is your next step. Most artists don’t want to admit that they’ve made a mistake or something isn't working. But you have to be able to look at what you have done to know where you are going. Have qualified help Most artist starting out usually don’t have record label or A&R help with their careers. More than likely the people who are helping you are family, friends, or green horns trying to break into music. So as the adage says “beggars can't be choosers,” somewhat applies. However, that doesn’t mean that you accept the help of anyone who volunteers. Remember this is your career and one while it is important to have the help, choose help that actually goes with what you need. Congratulations, you are in the music industry. You've already figured out that you have talent, a supporting fanbase, and a team that is there to help you. So what's next? What a lot of up and coming artists fail to realize, is that having a publicist is very crucial for their brand. Now, do not confuse a publicist with your manager. Your manager is there to "manage your career." Your publicist is there to make sure your career stays relevant. You may ask yourself, "Do I really need a PR?" The answer is yes and here are three reasons why. 1. PRs keep your brand relevant. Publicists are the ones who see the vision and paint the picture for you in order to pitch your music to the tastemakers of the industry (i.e. Djs, blogs, networks, etc). Publicists are the ones that have the "juice." They are at these networking events and have build rapports with people you do not know---yet! So you can hire a publicist to handle all of your press inquiries including writing your press releases and he or she may even redesign your EPK (electronic press kit) or give suggestions that can help strengthen your website. 2. A publicist makes your brand more professional. As some of you indie artists may know that it is hard to send out submissions to new blogs on your own and never receive an answer or a post or even any feedback. Here's why: you are the product without a spokesperson. You can't sell yourself in that way. A publicist helps and makes that communication to the blog that has a more sophisticated and professional approach. A publicist has the keywords or buzz words that will make a blogger open his or her email faster. Or on the other side, your publicist make know someone who works for the publication or owns the publication. The publicist has the connections and can pretty much use the jargon to help you get your foot in the door. 3. Having a publicist on your team makes everything less stressful. One great quality that a publicist has is good time management skills. They are prompt and religiously checking emails, social media posts, scheduling client interviews and other duties without missing a beat. You need someone like that on your team. Let your street team focus on promoting your merch. Your manager will handle your business. Then your publicist will deal with all communications and press. Every person has a task and not one person trying to do it all. Balance is key and one step to getting your brand out to the people. I can recall growing up appreciating music on a level which, at times, determined my overall mood. How I perceived things, reacted to them, etc. With just the right background music I could potentially rule the world. Well, not entirely true, yet music does have that affect on many. Some appreciate the message of the lyrics, while others simply prefer to listen to the beat. For the overall populous "The Beat" is what motivates them and keeps life's momentum flowing, steady streaming forward. One of the greatest to ever conduct a beat was none other than Clyde Stubblefield. From his time working with James Brown to eventually becoming a solo musician, Clyde Stubblefield has remained a pioneer in laying some of the most sought after drum line samples know to music. His works can be heard in all genres of music but mostly in Hip Hop material. Songs spanning the Golden Era of Hip Hop to current music out have the "Funky Drummer" drum line loop embedded in their rhythms. A count reaching 1,367 to date, to be more accurate. Yet, it can even be heard in children's cartoons such as "The Power Puff Girls" theme song! Mr. Stubblefield will be remembered as a man of great integrity and upmost class. His works will continue to be a benchmark to reach for, in regards to spanning a musical career that all musicians will be able to respect and admire for generations to come! Brooklyn’s own the infamous Rampage a.k.a Remington Steele has returned to hip-hop hitting us heavy with his new mixtape "The Payback," which is a follow up from his 2011 release "Remington Steele". He is the voice of the golden era of hip hop and definitely has the chops to go toe to toe with the best of the best. "The Payback" is like a soundtrack to a blaxploitation film as he raps about his past, present and future. The mixtape was heavily producedby Felony Muzik with a true throwback and possibly an ode to the 70 s culture.The project offers a refreshing fusion of classic feel good grooves with a 2016 lyrical vibe. The new "The Payback” mixtape is definitely a must have in your music arsenal! "The Payback" features appearances from Conglomerate member Baby Sham (“Filthy McNasty”) and some fresh new faces such as Dayo G. (“The Oasis”), P-Thoro (“Trouble”), vocalist Londyn Blue (“Money Bags”) and Nick Perkins (“It’s Over”).